False Alert: Can it Happen Here in Massachusetts Like it Did in Hawaii? False Alert: Can it Happen Here in Massachusetts? A mistaken alert sent people scrambling in Hawaii, saying a ballistic missile was headed towards the state. It took 38 minutes for an alert to be issued saying it was a false alarm. The NBC 10 Investigators wanted to know, could that same kind of mistake happen here in Massachusetts? Ally Donnelly has the answer. A mistaken alert sent people scrambling in Hawaii, saying a ballistic missile was headed towards the state. It took 38 minutes for an alert to be issued saying it was a false alarm. Every state has an emergency alert system, but how does it work? The NBC 10 Investigators wanted to know, could that same kind of mistake happen here in Massachusetts? Ally Donnelly has the answer. Have faith in our system. That's the message from local emergency officials. But still, they say, Hawaii was a powerful lesson. Dispatchers man the system 24/7, monitoring police, fire and EMS channels. 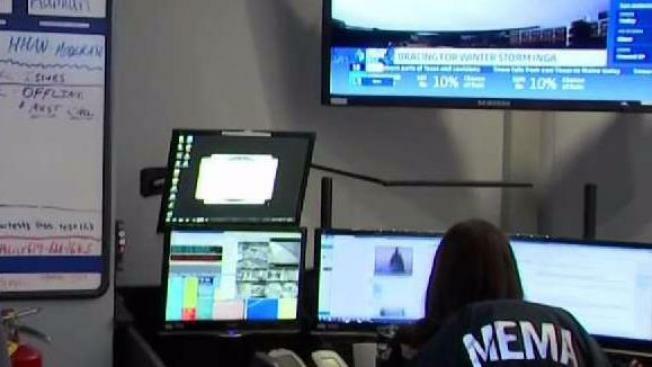 It's the nerve center of the Massachusetts Emergency Management Agency, and if there were an active shooter, severe weather event or terrorist attack, it is where any public alert would come from. "We need to find a balance between getting a message out quickly but making sure it's supposed to go out and that the content is right," said MEMA Director Kurt Schwartz. After the false alarm launched 38 minutes of public panic in Hawaii, Massachusetts officials asked, could it happen here? "We're confident it could not," Schwartz said. In Hawaii, it was human error, a single employee who clicked the wrong button. But Schwartz says redundancy is built into our system. If a situation rises to the level of an alert, a dispatcher brings in a duty officer. A 90-character message is crafted and must be approved by agency leadership. "In the end, three people work on it. The button is pressed. The message goes out." The message can be sent to TV and radio or cell phones, statewide, or pinged off cell towers in a certain area. "We can target just a neighborhood." Weather and Amber Alerts go out frequently but the last public safety alert came five years ago during the Watertown hunt for the Boston Marathon bombers. "We were asking people to stay indoors, shelter in place, monitor the news and call if you see anything suspicious." The system is tested often, but there are no pre-scripted messages in a drop down menu like Hawaii had for a missile attack and tests never go out to the public. "It's a whole different platform and system," the MEMA Director says. "It means more deliberate action. It's not a one-step process to cause an alert." Schwartz says even with their back up system, the agency plans to add one more set of eyes to the test process.